Courtney Akai, the celebrity diva of New York eyelash extensions, quietly opens a second location in Preston Center. For more than a decade, beauty expert Courtney Akai worked her magic on everyone from supermodel Naomi Campbell to Real Housewife Ramona Singer out of a studio in New York. A few months ago, she quietly opened a small second location in Dallas. 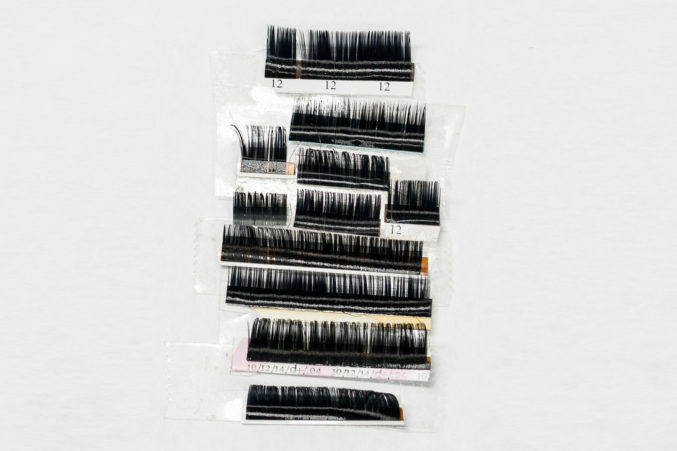 But the celebrity esthetician—once referred to by the New York Times as the “diva of eyelash extensions in New York”—deserves some fanfare. We paid Akai’s hot pink studio a visit to talk about her biz and moving to Dallas. Akai can’t give us a complete roster of her celebrity clients (they’re that A-list), but here are the lashed ladies she was willing to reveal. How did you build your impressive client base? Lash extensions were so difficult to do, especially when I started, in 2004. Since I was one of the few doing it, when people would Google eyelash extensions, I would often come up. I started doing a lot of football players’ wives. I was working out of my apartment then, so I would go out to a lot of their homes in New Jersey. You still have your studio in Manhattan, but what brought you to Dallas? I have kids. One kid is doable in New York, maybe two, but now I have three. I think I came here at a great time, and people are moving on over. I was on the Today show in April, and a New York client who had moved to Dallas saw and called me right away. A lot of my clients here are people I’ve had for years in New York. It’s funny how everything goes around. How does your salon differ from local lash studios? I won’t just give people a list of styles like “cat eye.” I go through and look at each lash to see what it can handle. Each lash is its own home, and you have to be mindful of lash health. I’ll ask each client, “In an ideal world, what would your lashes look like?” From there, I can gather what they’re looking for. For pricing we have three different levels: Advanced, Senior, and Master. I’m very choosy, so you know you’re getting the Courtney Akai training, but with experience does come better application. How do Dallas clients compare to New York? New York people are like, “No, no, no. This one lash isn’t right.” Dallas women are so polite. But I’m from New York—I don’t care.I want everyone to be treated wonderfully, and to feel like they can come back if God forbid there’s a problem. We’ll always fix it.